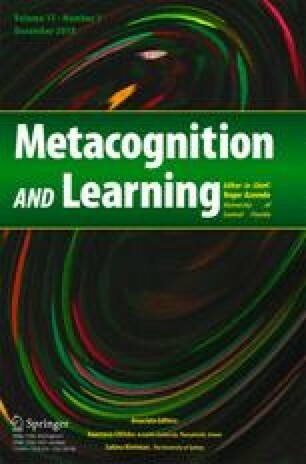 The goal of this study was to examine how students process formative feedback that included corrective and elaborative information in online question-answering tasks. Skilled and less-skilled comprehenders in grade 8 read texts and answered comprehension questions. Prior to responding, students were asked to select the textual information relevant to answer each question. Students received formative feedback that included information about the answer correctness and an elaborative message, either automatically delivered or optionally accessed. Students’ actions, as well as verbal protocols during feedback processing, were recorded. The results showed that: (a) students paid more attention to the answer correctness than to elaborative feedback messages; (b) students paid more attention to feedback information after failure than after success; (c) students actively monitored the accuracy of their responses; and (d) differences between skilled and less-skilled comprehenders in processing feedback were very limited. Theoretical and practical implications of these results are discussed. This research was supported by the projects FPU014/04646 and EST15/00492, granted by the Spanish Ministry of Education, Culture and Sport to Ignacio Máñez, and the projects EDU2014-55662-R, granted by the Spanish Ministry of Economy and Competitiveness, and PROMETEO/2013/011, granted by Conselleria d’Educació, Cultura i Esport de la Generalitat Valenciana to the Psicotext research group at the University of Valencia. The authors (Ignacio Máñez, Eduardo Vidal-Abarca, Panayiota Kendeou, Tomás Martínez) declare that they have no conflict of interest.